Mehidy Hasan starred with the ball before half-centuries from Tamim Iqbal and Soumya Sarkar guided Bangladesh to a comfortable eight-wicket wicket win over the Windies to wrap up a 2-1 ODI series win in the decider at Sylhet. The young off-spinner collected figures of 4/29 as the Windies finished their 50 overs on 198/9, a score salvaged by second consecutive ODI hundred from Shai Hope. Tamim (81*) and Soumya (80) both combined with the bat to help Bangladesh manage their chase with great expertise as they cruised to their target, with 11.3 overs to spare. Mashrafe Mortaza won the toss and elected to field, and Mehidy was amongst the wickets early on. Chandrapaul Hemraj (9) fell in the fourth over, departing tamely as he cut a loose delivery from Mehidy straight to Mohammad Mithun at point. Darren Bravo was Mehidy’s second victim, bowled through the gate as he struggled to get going, falling for just 10 from 26 balls. 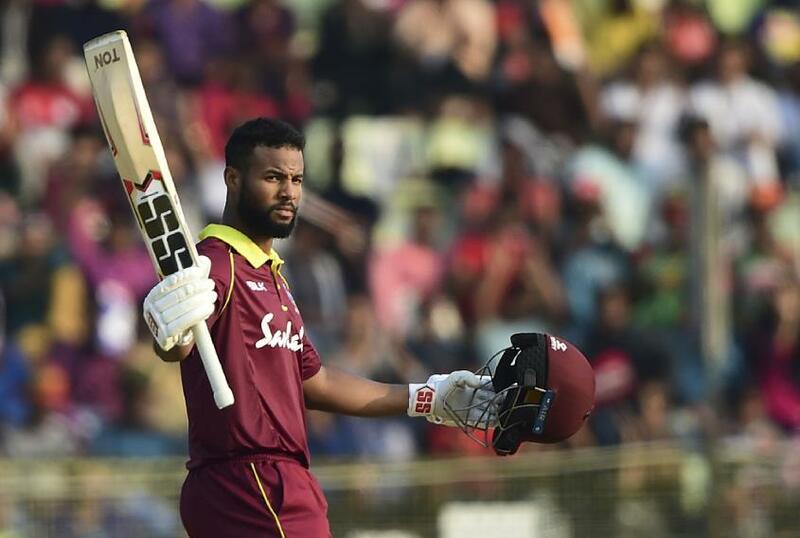 At the other end, Shai Hope appeared to be playing on another pitch, building on from his supreme innings in the second ODI. His timing was majestic, as he went down the track against Mehidy while slaying Mashrafe through the covers with a couple of boundaries. His fifty would arrive from just 54 balls, with a single from Shakib Al Hasan. Marlon Samuels (19) offered some resistance, but his dismissal – playing onto his stumps from Mohammad Saifuddin – triggered a spate of wickets. Shimron Hetmyer has enjoyed a stellar breakthrough year in international cricket but it hasn’t been a pleasant ride for him in this ODI series. Mehidy continued to find success as he trapped the Windies batsman on his crease with an angled delivery that skidded on. Indecision from Hetmyer saw him depart for a six-ball duck. Rovman Powell followed in Mehidy’s next over, deceived by a lack of turn, with an edge sneaking through into the hands of Mushfiqur Rahim behind the stumps. Roston Chase (8) chose the wrong occasion to clear the boundary, failing to get the requisite contact as he holed out to Soumya at long-off. While wickets continued to fall, Hope offered continued resistance and brought up his century by depositing Shakib for six. It was a brief spark of light amidst a poor return from the Windies batting line-up. While Mehidy caused the top-order misery, Shakib and Mashrafe were the dominators of the lower-order, picking up a pair of wickets each to stop the Windies from passing the 200 mark. The Bangladesh reply enjoyed a steady beginning that was to be interrupted by Keemo Paul, as Liton Das spliced a pull to Powell at mid-on to see Bangladesh 45/1 after 10.1 overs. It was to kickstart a monumental partnership as Tamim and Soumya combined for a 131-run second-wicket stand, crushing the spirits of the Windies bowlers. Bangladesh are cruising to victory in the deciding ODI of the series! They're 120/1 after 25 overs chasing 199 to win. Tamim Iqbal is unbeaten on 53. While both batsmen reached their fifties from 62 balls, Soumya opted for a more brutal approach in comparison to the patient Tamim, intent on sending the ball into the stands. Marlon Samuels and Fabian Allen were treated with disdain as Soumya hit both for a pair of sixes, while Devendra Bishoo was treated to a stinging cover drive that went all the way. Soumya eventually departed for 80, but Mushfiqur ensured that there were to be no speed bumps for the rest of the chase, with a quick-fire 16 completing a dominating victory.